How should I deal With a Party Wall Notice? Don’t ignore it! After you have received a party wall notice you have 14 days to respond from the date of delivery not the date you opened it. You must reply in writing — there may be an acknowledgement form — and either agree to the work or dissent from the work. If 14 days passes you are deemed to have dissented from the works and so should appoint a party wall surveyor. If you agree, that is the end of the matter and you will not get a party wall award or a schedule of condition. 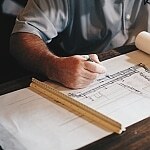 If you dissent then you will need to appoint a surveyor to act for you. The surveyor will work with your neighbour’s surveyor to agree a party wall award and will take a schedule of condition. After 14 days, if your neighbour has not heard from you, they will send you a 10 day letter, this gives you 10 days to appoint a surveyor. If you do not, then they will appoint one for you. 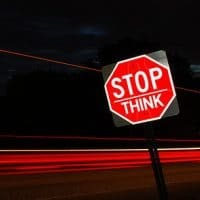 Can I stop my neighbour's building works? No — not if they have served a party wall notice. If you simply don’t like their works then the opportunity to make comments was at planning stage. If you simply ignore the party wall notice, your neighbour will appoint a surveyor for you and their works will progress. 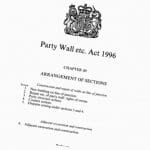 Yes — if your neighbour starts work to which the party wall act relates without serving a notice and without a party wall award, then you may be able to seek an injunction temporarily suspending works until the necessary notices are served and a party wall award agreed. But your neighbour can start, and continue, without any agreement any work which does not fall within the notice provisions of the party wall act. Can I use the same surveyor as my neighbour? Yes. That surveyor will be known as an “Agreed Surveyor” who will act impartially to finalise and Award. This can be the quickest and cheapest solution for simple building works, but it may not be appropriate for complicated work. If you are not sure then you can contact one of our surveyors and discuss your concerns with them — London 020 8295 1200, Kent 01303 239000.
Who pays for my surveyor? Usually your neighbour does. 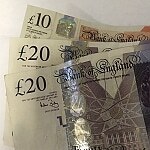 The party wall surveyors will agree this and make a direction in their Award, but this does not mean that whatever fee your surveyor submits will be agreed. Fees should be reasonable and proportionate to the job. If they are not, and the full amount is not agreed in the Award, your surveyor might ask you to make up the balance. You should discuss this with your surveyor before you appoint them. My surveyor isn't acting properly. You should choose your surveyor carefully. Google them before you appoint them and see what other people thought. You cannot sack your surveyor, only the surveyor can withdraw from the instruction. But, if there are two surveyors then they will have agreed upon a third surveyor to whom you can direct any concerns. Your surveyor should have told you who the third surveyor is, and their contact details, at the beginning of the process.